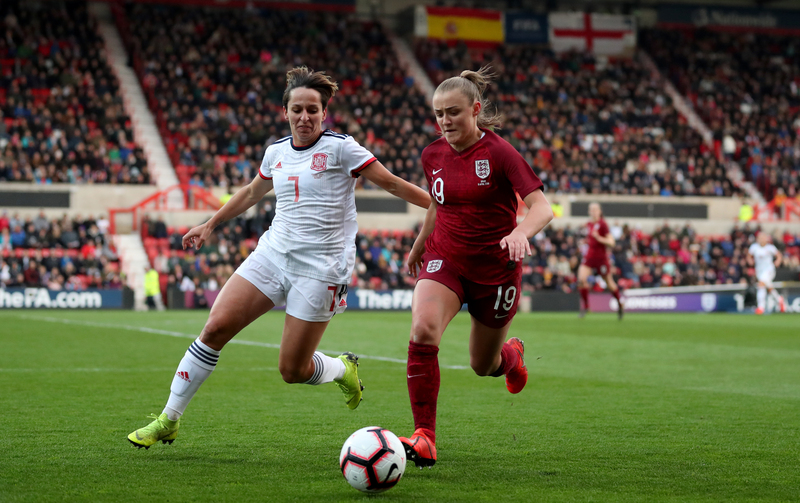 The latest flurry of warm-up matches for this summer’s World Cup featured a Scotland win over Brazil, four goals for Danielle van de Donk and a 100th cap for Iceland’s Fanndís Fridriksdottir. England got back to winning ways on Tuesday, with a 2-1 victory over Spain in Swindon. A well-worked goal in the first half saw Beth Mead open the scoring, before Ellen White swept home a second almost straight from kick-off in the second half. Spain reduced the arrears with just over 20 minutes remaining when Mariona Caldentey’s run culminated in a tap-in for substitute Atiana Bonmati. Scotland enjoyed a famous win over Brazil in Spain thanks to Kim Little’s effort 7 minutes before the break. In an incredibly feisty game, Scotland and Brazil shared a host of chances between them but it was the team in blue who came out on top. Little’s strike finished off a scintillating run from Lizzie Arnot secured the win. 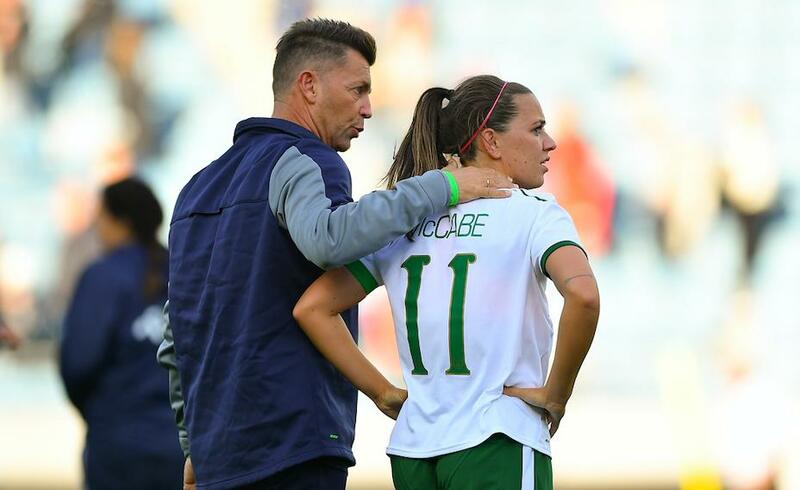 Denise O’Sullivan set up Katie McCabe of Arsenal to give Republic of Ireland the lead over Italy in Reggio Emilia but the hosts replied through Barbara Bonansea and Daniela Sabatino for a 2-1 result. 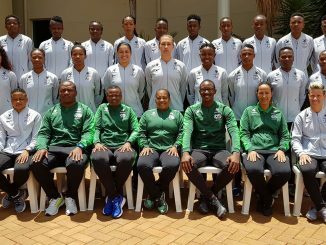 However, Ireland could have secured the draw just before the final whistle, when substitute Amber Barrett almost made it 2-2 on the 87th minute, but saw her effort cleared off the line. Germany had to twice come from behind to draw 2-2 with Japan in Padeborn, Alexandra Popp and Svenja Huth replying to goals by Yui Hasegawa and Kumi Yokoyama. 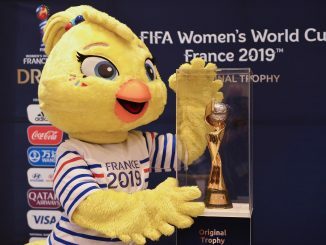 France defeated Denmark 4-0 in Strasbourg, Delphine Cascarino with a double, Griedge Mbock Bathy and Valerie Gauvin one each. Canada came from behind to defeat Nigeria 2-1. Desire Oparanozie’s opener was cancelled out by Manchester City’s Janine Beckie and Sophie Schmidt got a 53rd-minute winner. 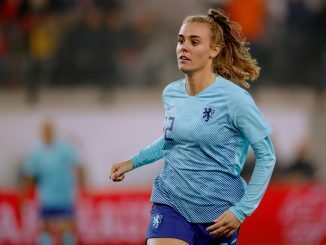 Netherlands sunk Chile 7-0 in Alkmaar with Arsenal’s Danielle van de Donk claiming a four-goal haul, one each for fellow Gunner Vivianne Miedema, Lieke Martens and Shanice van de Sanden. South Korea drew 1-1 with Iceland in Chuncheon, Reading’s Rakel Hönnudóttir having opened the scoring, while Fanndís Fridriksdottir made her 100th appearance. Austria were beaten 2-0 by Sweden at the BSFZ Arena, Sofia Jakobsson and Nathalie Bjorn finding the net. New Zealand edged Norway in Marbella, Rosie White with the only goal just 5 minutes in. Finland’s Eveliina Summanen got the solitary goal of the game in Helsinki against Poland.